How do you get the most out of ESOS Phase 2? This is what the experts say. If you mi ssed it, or if you would like to see it again, you can find it here. 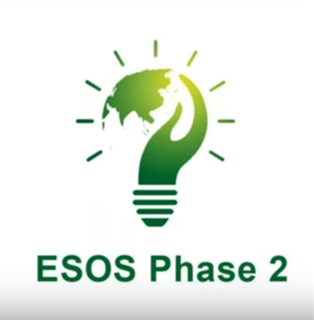 To get the most out of ESOS, to avoid excess costs and to ensure compliance, now is a good time to start planning for Phase 2. If you would like our help, here are eight good reasons to talk to us! Guaranteed compliance by the due date – or your money back! An early-bird discount of 10% discount if you place an order within the next 6 weeks. A free ESOS Organiser to help manage you manage the opportunities identified. Access to our unique funding service which allows you to implement savings opportunities with no upfront costs to you and with all costs paid from the energy savings achieved! Free site energy certificates which give a visual benchmark of site performance – where they are and where they could be – to get stakeholder buy-in to energy objectives. Energy Initiator®, our bespoke energy audit tool, which typically identifies over 30% more energy savings opportunities than traditional surveys, will be used to carry out your audit. *for qualifying organisations only. To find out if your organisation qualifies, please get in touch as below.